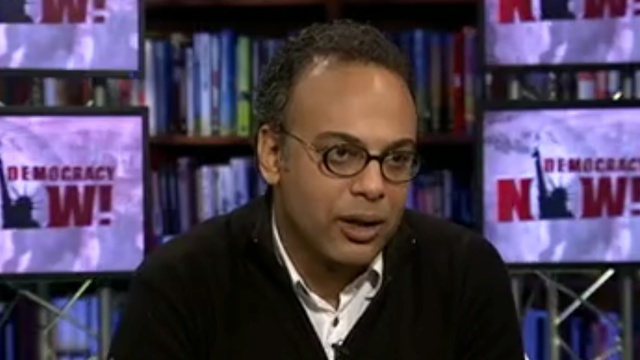 Hossam Bahgat: Egypt Detains Leading Journalist, Human Rights Defender | Democracy Now! In Egypt, the leading investigative journalist and human rights activist Hossam Bahgat has been detained by Egyptian military intelligence. 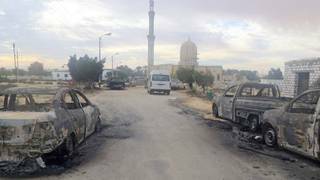 Bahgat’s most recent investigation examined the convictions of 26 military officers accused of plotting to topple the government. Bahgat was interrogated for hours Sunday on charges of publishing false news harmful to national security. Earlier today, officials announced they plan to hold him for four days. Boghat’s arrest has been widely criticized by human rights and press freedom advocates. “The arrest of Hossam Bahgat today is yet another nail in the coffin for freedom of expression in Egypt,” said Philip Luther, director of the Middle East and North Africa Program at Amnesty International. Hossam Bahgat has been a regular guest on Democracy Now!